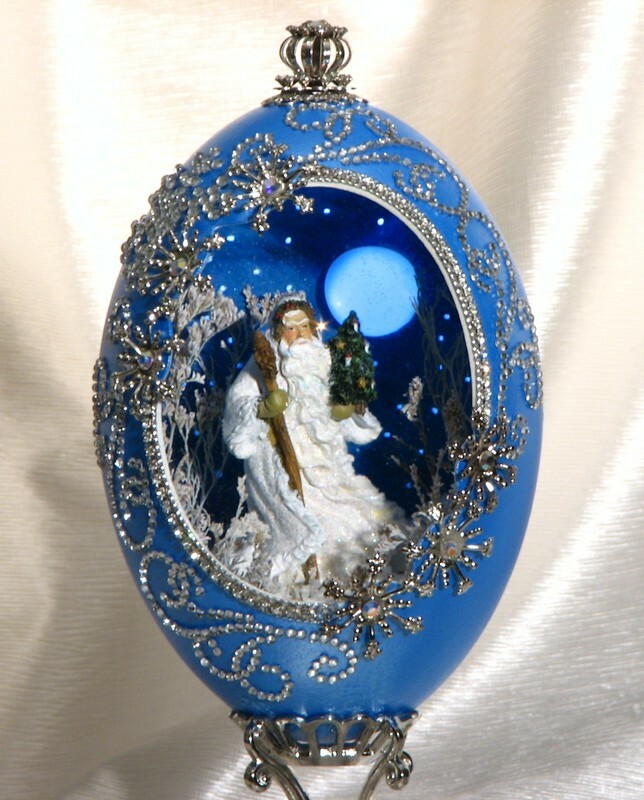 ​The emu egg sleigh is holding Santa and his friends. 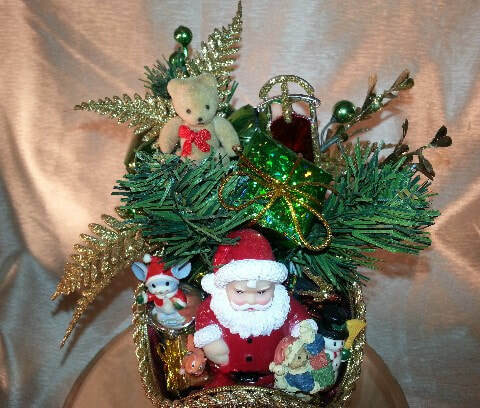 This wonderful sleigh is filled with various toys and presents. 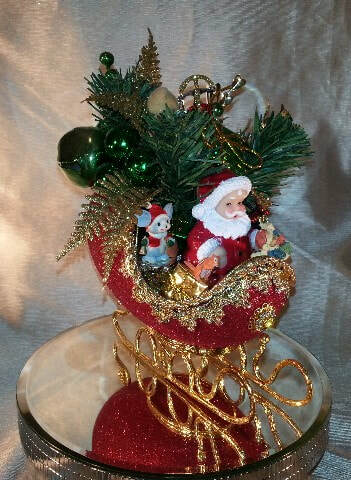 Holiday Sprigs and Christmas bells are added to the sleigh to give it a holiday ring. 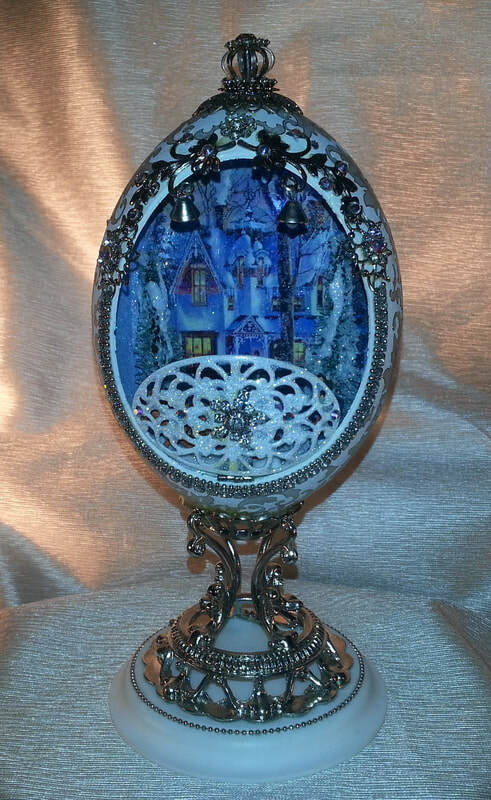 A Crystal filigree is used on the front and rear of sleigh to help guide Santa on his deliveries to all the good children around the world. 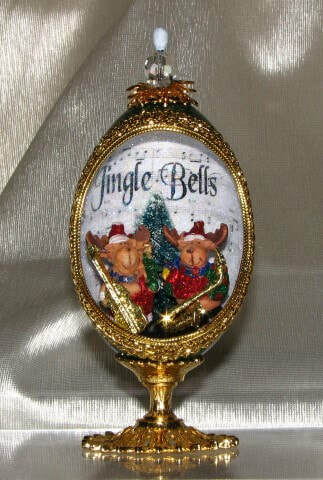 The sleigh is decorated with red velvet glitter for the final touch to this design. 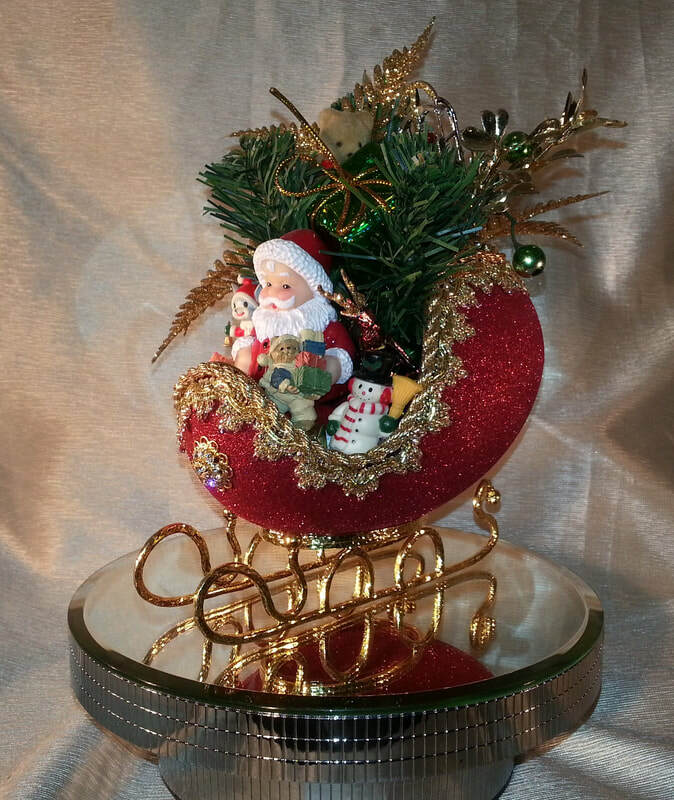 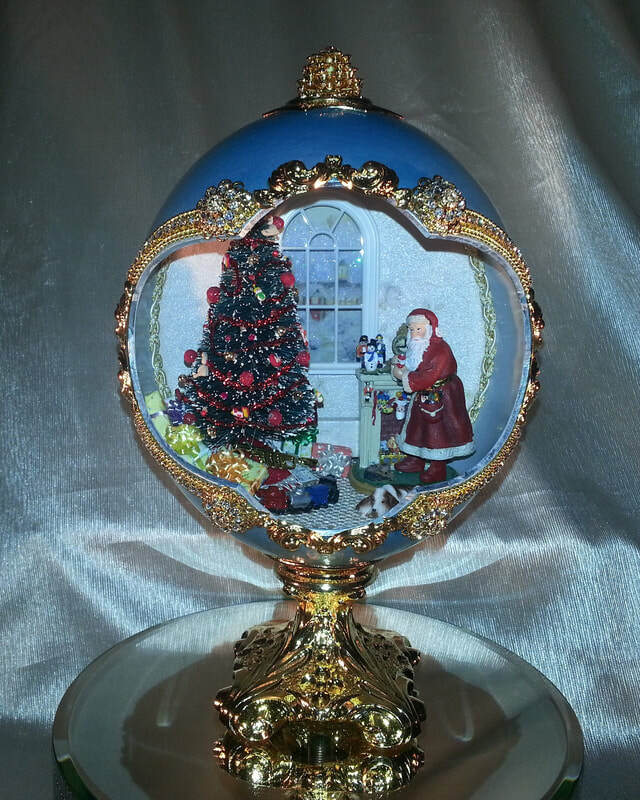 This Holiday classic rests upon a gold plated sleigh and will be cherished for years to come. 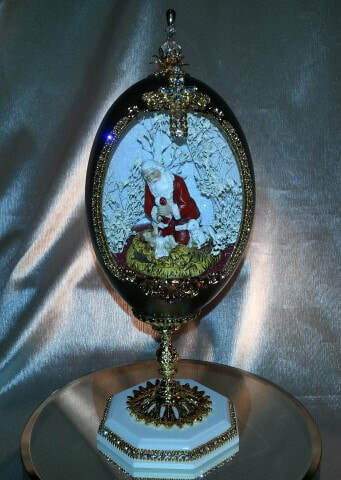 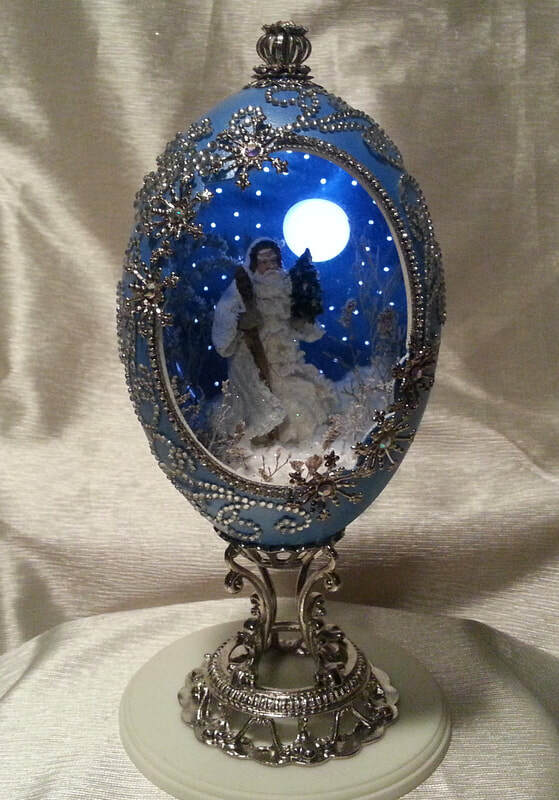 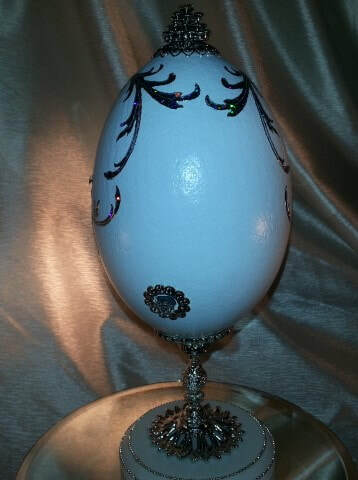 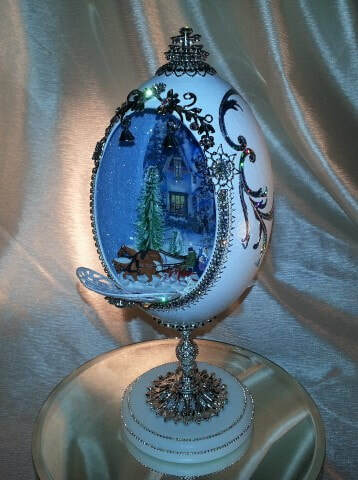 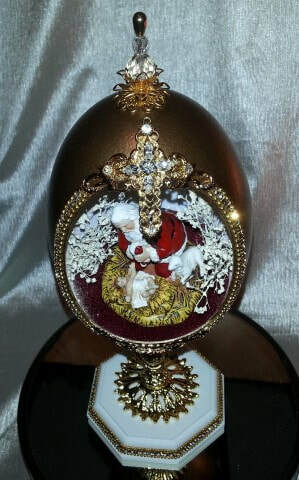 This stunning design captures the timeless holiday themes of travel, home, and family in a white painted rhea egg. 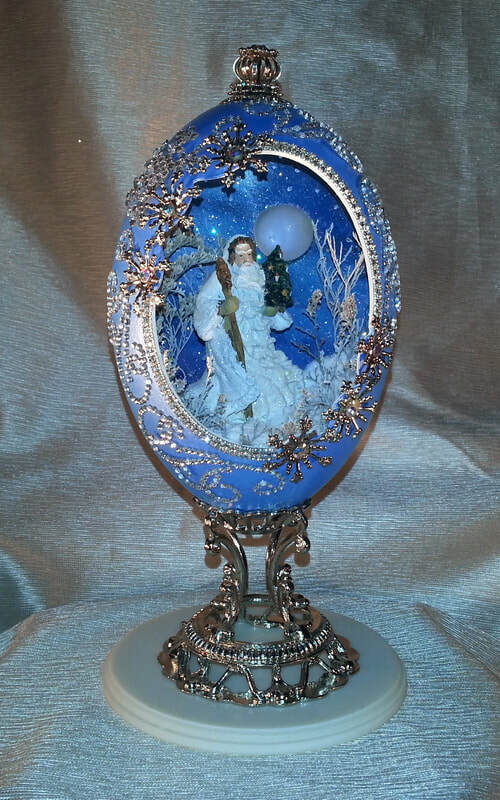 The opening is framed with Austrian crystals and silver filigree. 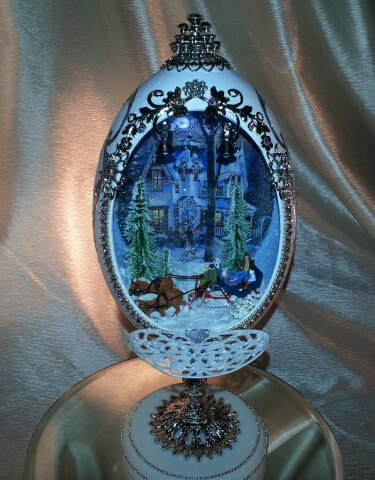 An intricately hand cut hinged gate opens to show a family traveling home for the holidays in a sleigh featuring hand painted German Preiser miniatures. 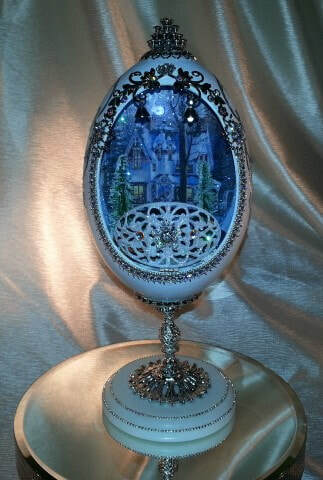 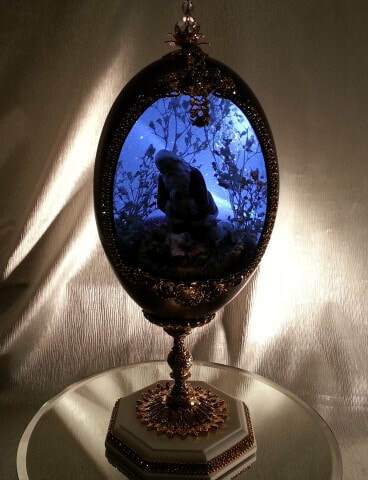 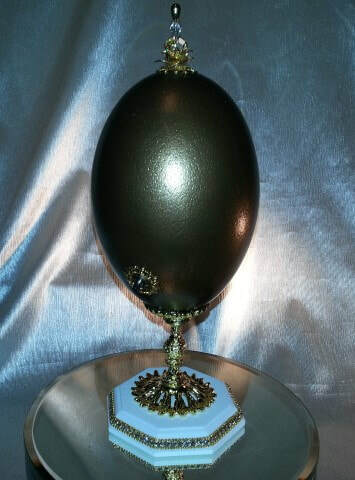 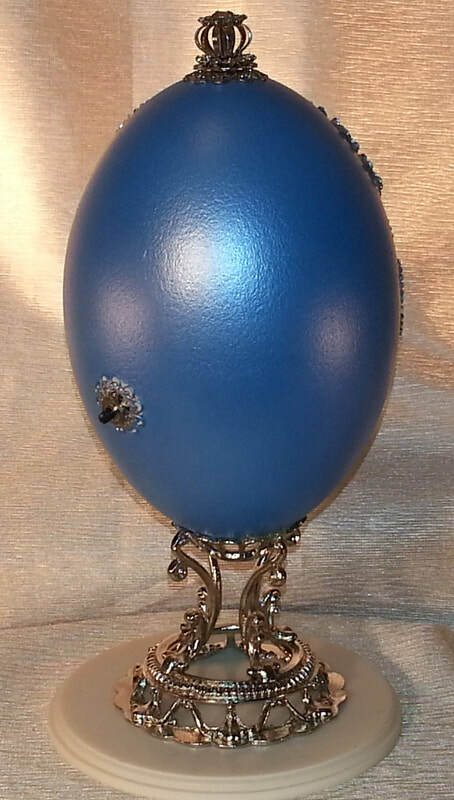 This design is lighted and with a press of a button, the egg transforms a lively day scene into a nighttime serenity. 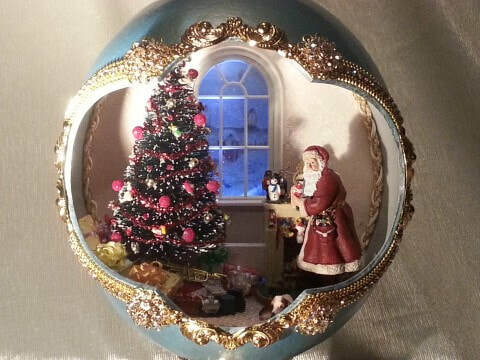 ​Gift giving goes goes back many centuries and has become a Christmas tradition over the years. 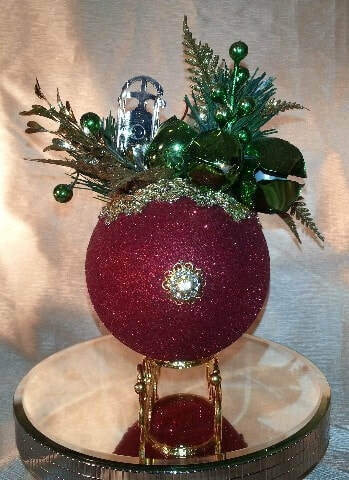 A hand made Christmas tree with miniature ornaments surrounded by holiday presents is captured in this Rhea egg design The egg is a hand cut design with sparkling organza to give you an inside look at this tree surrounded by holiday gifts. 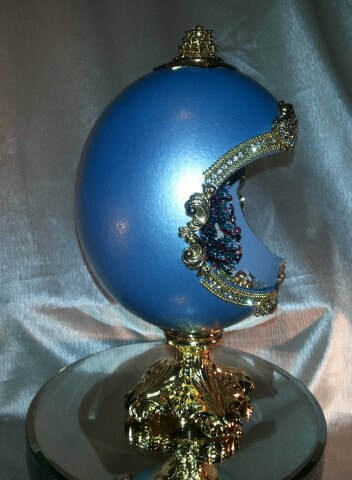 The design is accented with Austrian crystals and is supported by a gold plated stand and corian base. 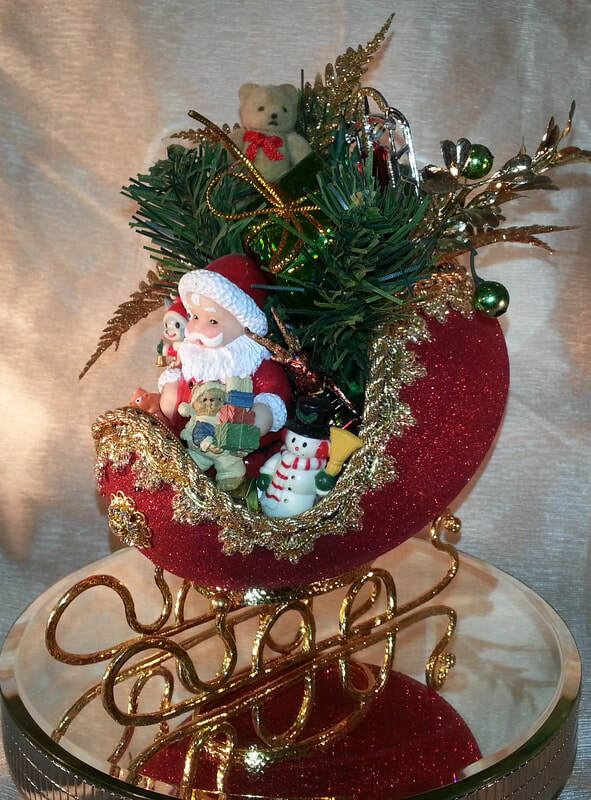 Holiday toys give us the feeling of a wonderful Christmas morning.